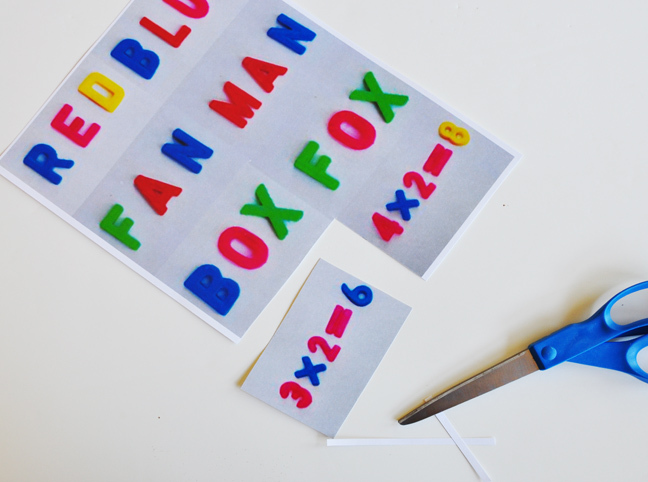 This project uses items you probably already have in your home and is educational for the little ones. 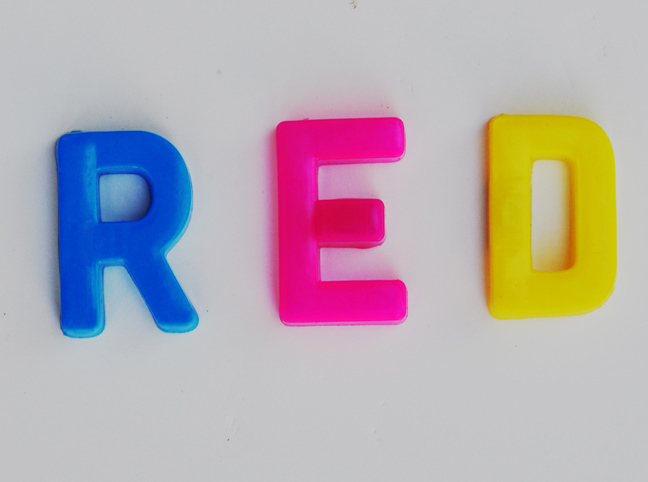 I found it gives my daughter something to do while I’m making dinner. 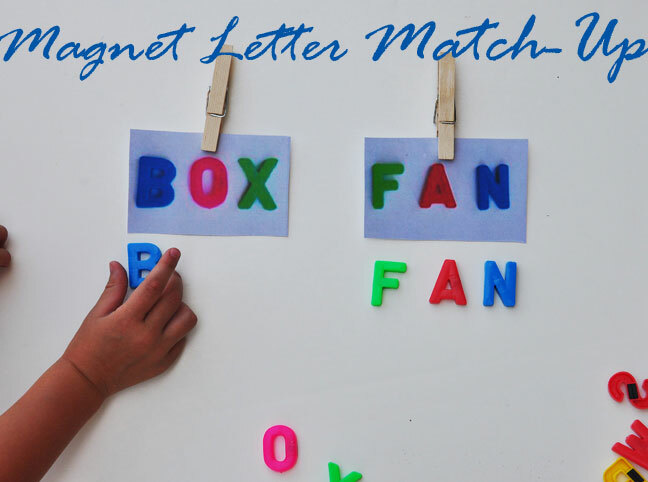 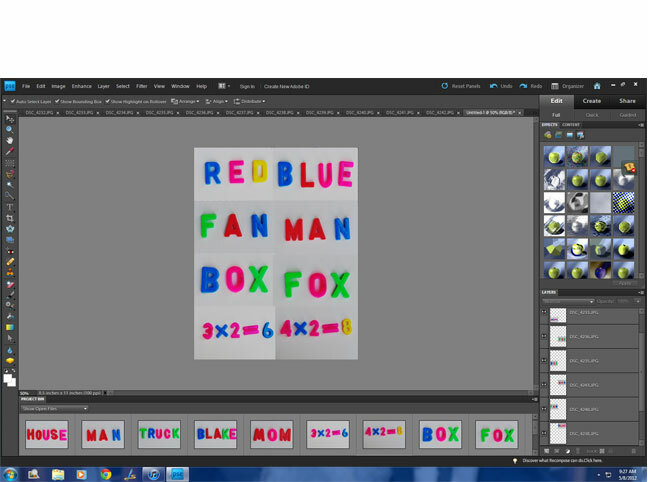 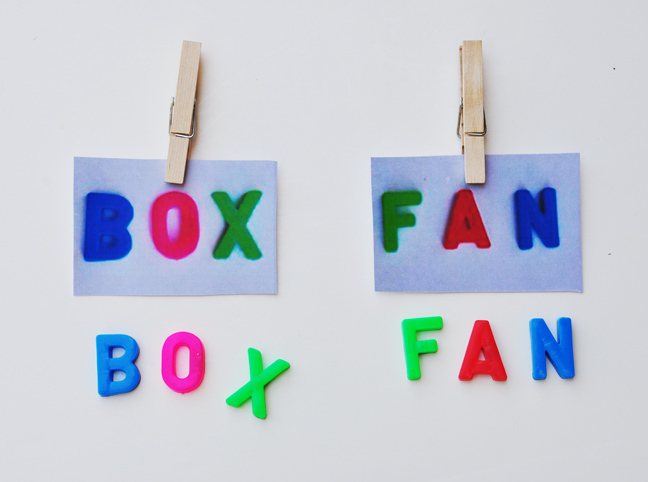 Using magnet letters that are different colors helps them to identify them easier too! 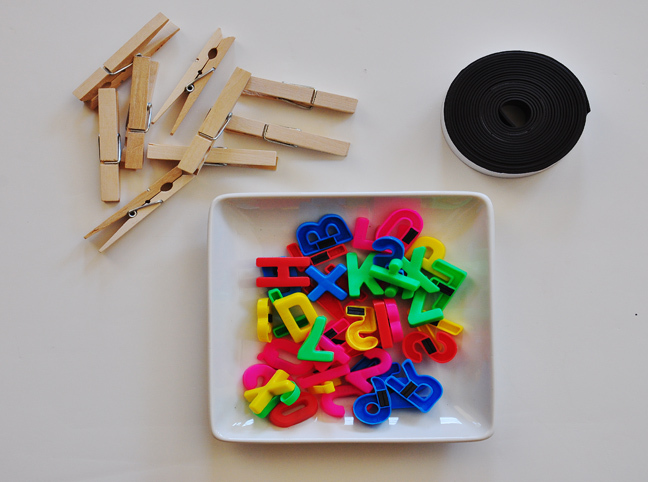 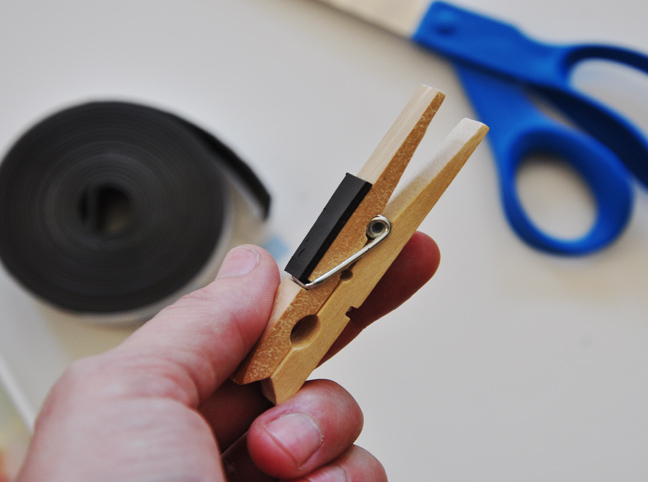 Clip the word card to the magnetic clothespin and let them have fun at the fridge while learning!